The term "JJ Fox(St James's) Ltd” or “us” or “we” refers to the owner of the website whose registered office is 19 St James's Street, London, SW1A 1ES. Our company registration number is 0289 0271. The term “you” refers to the user or viewer of our website. Please note its against the law for us to sell tobacco products to anyone under the age of 18. When you engage with us (e.g.  purchase cigars or other products from us, use, register or create an online account on our Websites, sign up to updates, post content on our Websites, voluntarily provide us with feedback, contact us via social media websites, or otherwise), we may collect the below Personal Information from you. Please ensure that the Personal Information that you provide to us is accurate and complete and notify us if any changes are made to your Personal Information so that we may update our records. This Personal Information may include: • your title, name and surname; • your contact phone number and e-mail address. • demographic information such as preferences and interests; and • other information relevant to customer surveys and/or offers. We are committed to protecting your Personal Information and we will only use or disclose your Personal Information to (i) perform the contract we have with you, (ii) comply with our legal obligations, (iii) for our legitimate business interests (such as to analyse and improve our Websites, products and services), (iv) personalise your experience when you visit our Websites, (v) where you apply for a job with us, process your application and (vi) for any other purposes for which you have given your explicit consent. In order to process your order we will send you a confirmation email or we may need to contact you by telephone or email to verify your details before we are able to process and dispatch your order or we may be unable to accept your order. Where you have explicitly consented or where we otherwise have a right to do so, we may from time to time contact you by post, electronic mail about new products, special offers or other information which we think you may find interesting using the contact information which you have provided. Registration enables you to update your preferences of the marketing that you wish to receive and how we send it to you. You may opt out of receiving these marketing communications by simply following the instructions outlined in the email. For example, where you purchase products from us, if you pay by card, your card details will be shared with third parties as necessary to process your transaction. We need to contact card issuers for validation checks and authorisation on all card payments. If the issuer of your payment card refuses to authorise payment to us, we will not be liable for any delay or non-delivery.. By ordering from our Websites you acknowledge that such checks shall be made. We may also need to provide your Personal Information to other payment processors. These measures are taken as extra protection for you, to ensure your online shopping experience with us is as safe and secure as possible. We also share your Personal Information to third parties for purposes of delivery of the products to you and for the purpose of processing your order. If you have any questions please feel free to contact us by email at freddie@jjfox.co.uk.